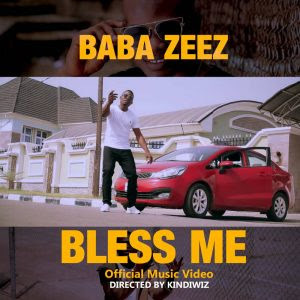 Fast rising Nigeria singer/ rapper 'Babazeez' is back again this time is a new song titled "bless me". Following the successful release of his hit bangers mama, religion, you know, No love , he is obviously not resting on his laurels as he drops the official video of one of his bangers "Bless me. Best believe, Babazeez is royalty on this new song, sit back and allow the king of new school afro pop rock you on. The song was produced and directed by Kindwiz.